Veneers - Willow Grove PA - Kent Lane Mueller D.D.S. Having a beautiful smile can significantly improve a person’s self-esteem. At Dr. Mueller's office in Willow Grove, PA, we want to help you achieve a smile that is both healthy and radiant. To do so, Dr. Mueller may recommend Veneers. 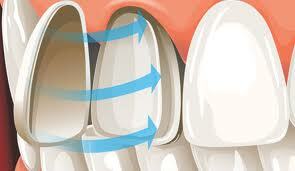 Veneers are thin shells, often made of porcelain, that are bonded to the front surface of the teeth. When in place, veneers can correct crooked, uneven, or misshapen teeth, gaps between the teeth, tooth stains, and other dental imperfections. You don’t have to wait to receive the smile of your dreams; with our convenient financing options, now is the right time for you to consider Veneers. ​For more information on veneers or cosmetic dentistry, we invite you to contact our office today. (215)657-5700. Our office is easily accessible from Horsham, Doylestown, Huntingdon Valley, Abington and the surrounding area.